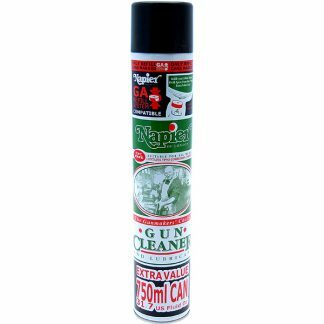 A highly effective aerosol firearm cleaner which cleans, lubricates & protects all metallic parts of your firearm. 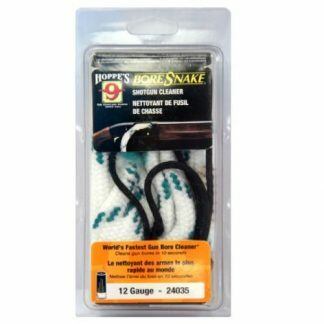 A fantastic cleaner for both smooth & rifles bores. This cleaner is our firearm cleaner of choice in the shop. Use: Provides immediate protection after firing by neutralising powder combustion residues. Cleans and lubricates the firing pin, bore, breech, muzzle, tube, trigger, bolt/cocking lever, rifling, hammer, etc. Cleans and protects the bore of both smooth & rifled weapons against corrosion. Neutralizes and eliminates the combustion residues of powders. Adheres to the metal walls and forms an insulating and protective film against corrosion. AV 33 penetrates into the smallest spaces and makes it possible to unravel rusted and blocked mechanisms. AV 33 allows to lubricate without “staining” and without “oiling”, avoids greasing before firing. Protects cleaned parts for many months regardless of storage conditions. Does not contain solid additives. COSHH sheet available upon request.